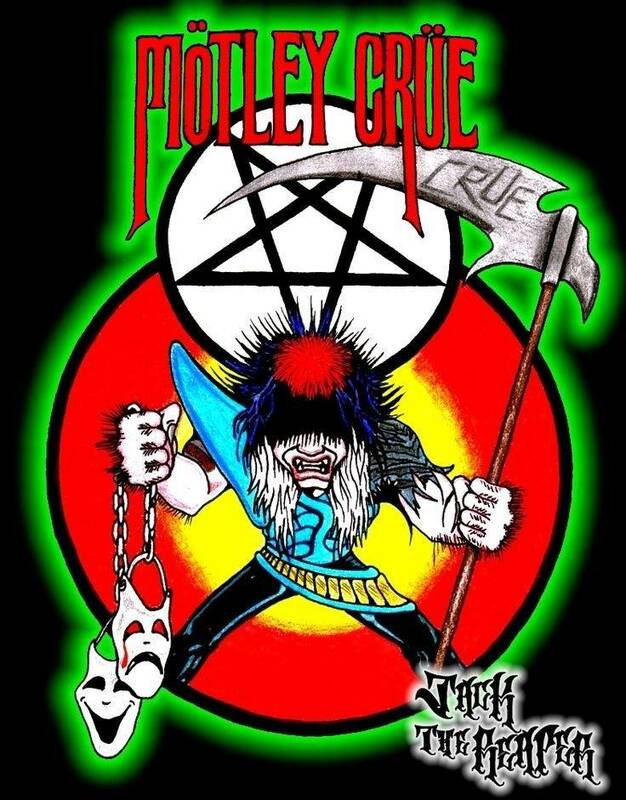 » Forum » All Pinball » Motley Crue Pin???? Dream theme Band for me. Who would be in!!!! I would definitely be in. Sure why not but not before a few other bands that are bigger. Still would be not as big as Maiden. I would love a crue pin. Have thought about taking a machine and doing one much like the original IMDN that was done. 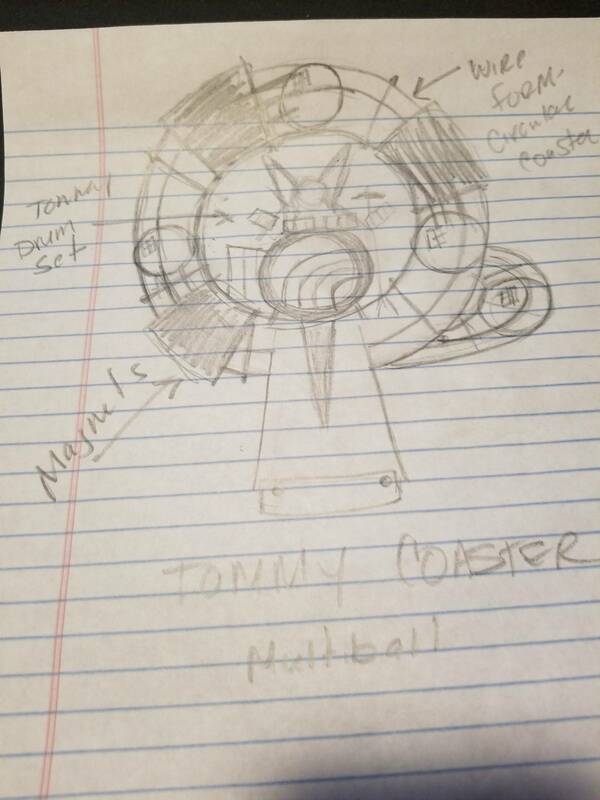 Tommy coaster 3 ball multiball mech. Still a horrible idea and even worse band. Might as well do a Poison pin whilst your'e at it. Although I would entertain the idea of that pin purchase, there are other bands more deserving on a larger scale on selling units. And on that same note, I have no interest in a Queen pin. Judas Priest however I'd be all in ! Poison is the worst successful band, ever. I don’t really have much nice to say about crue except that like doctor feelgood and Mick Mars. And that they are better than poison. As long as there is no Home Sweet Home. OK song...no place for it in a pinball machine (unless it plays a bit after game over). Dream theme for sure. I'm just worried that Stern won't touch the theme now that Motley is no longer an active band. Has Stern ever done a pin of a retired band? WITH the right Crew songs, I would be in. Music themed pins are becoming my favorite type of pins to play. They would have to include "She goes down"
No, it plays the first time you unpack it and it's powered on, and only that one time. Elvis. LONG "retired" when that came out. To me, Motley would be a better title than Iron Maiden. While I think Iron Maiden has better artwork as a band, Motley's isn't that shabby. Lots of things to work with, as noted by the OP also. I would only have one major request- that all of Vince's vocals be from the studio and no live singing (lol). His live stuff is like nails going down a chalkboard to me. True the way they laid that out, but is that really saying much? I knew there was an Australian link to a Motley Crue pinball machine several years ago, but couldn't remember where I heard it. Thanks for that. I could go either way but I have a 15-year old who would probably give up anything else but pinball if there was a Motley Crue pinball!!! I guess every cloud has a silver lining. Can't really picture Vince Neil in orange on a pinball machine in 2029. Yeah I'd rather have a Crue pin than Iron Maiden. While Iron Maiden might have lasted longer they really don't have an album that IMO stacks up to Motley Crue's iconic debut (which was by far their best album). Can’t really say many people outside USA know who MC is ? I would buy a Keith Elwin or Borg Crue. Lower playfield, kick start my heart? I would be in... Iron Maiden doesn’t do it for me. But what do I know? I’m waiting for Motley Crue and Led Zeppelin pins. Dream theme pins for me, come on Stern! Yea well I mean we can't glorify crappy bands like Nirvana can we? Oh Nirvana was horrible too. 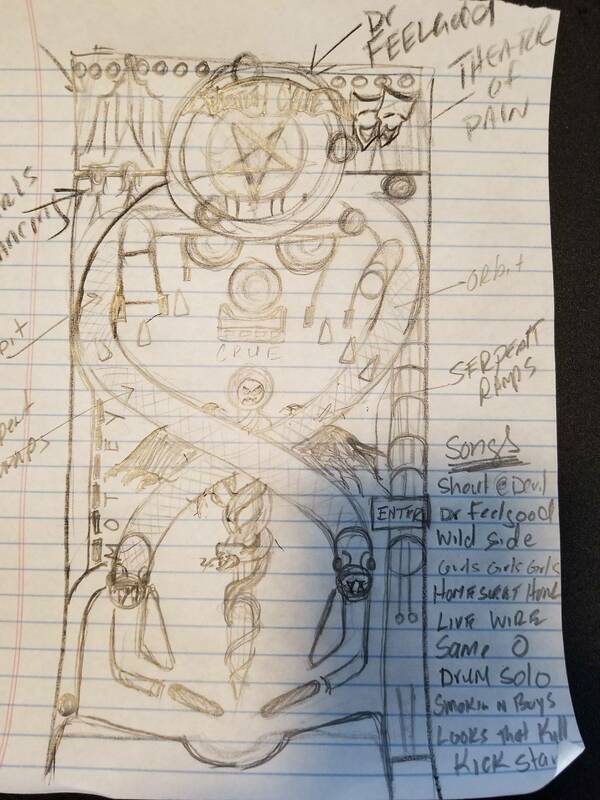 And apparently the designers have some experience in pinball...I really like the concept of a Crue pin. I know the music themed pins people are getting tired of but....idk, I would buy one. Same here I think the pin could be awesome and the dirt was pretty good as well. Read the actual book. How Tommy, Vince and Nicki are still alive is amazing. Mick, well he's just Mick. Great read on a great band. Stern definitely needs to add a MC machine to their short list. Yeah, just watched "The Dirt"...wow. Alot of options for multiball on this one.